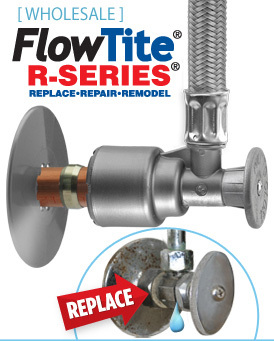 FlowTite® 4ALL angle stop 1/2" nom. 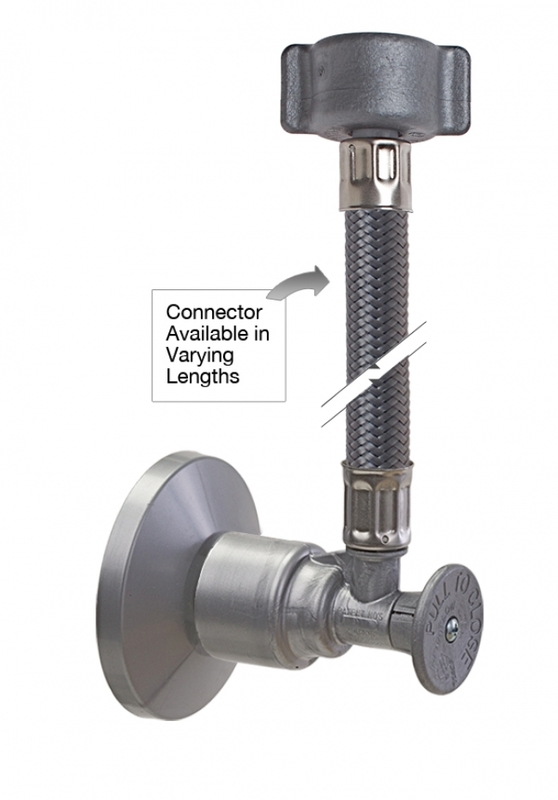 with attached PVC or Braided High Performance connector, x 1/2" reinforced polymer IPS nut with escutcheon. Connector Lengths available: 6", 9", 12", 15", 20", 24", 30", 36"
Connector Lengths Available: 6", 9", 12", 15", 20", 24", 30", 36". Connector Lengths Available: 6", 9", 12", 15", 20", 24", 30". 1/2" Reinforced polymer IPS nut may be substituted for 1/2" Metal IPS nut upon request for an additional cost.